if you would have asked me six (6) years ago what my some of my least favorite foods were, asparagus would definitely be at the top of that list. i have no idea what has changed since college, because now i eat asparagus pretty regularly. i still think boiled asparagus tastes pretty gross, sauteed is okay, but my favorite way is typically grilled/roasted with ultra crispy ends. 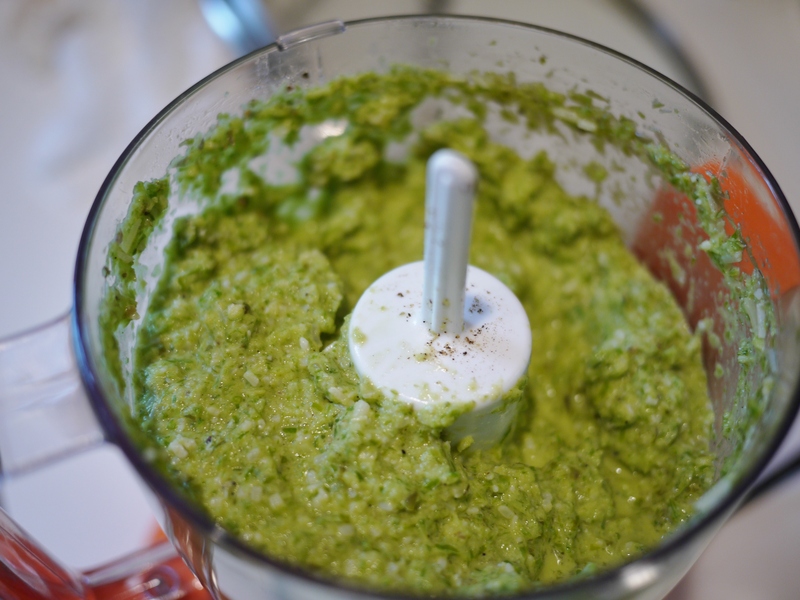 i was flipping through a recent issue of food+wine magazine and it had a recipe for asparagus pesto, which was interesting and gave me inspiration to try it out. since asparagus was on sale one weekend at sprouts, i decided to make up my own recipe with the items i had available in my fridge. i didn’t feel like buying pine nuts and overpriced basil. Combine all the ingredients except for the olive oil into a food processor and pulse until everything is finely chopped. While the machine is running, add the olive oil slowly until the mixture becomes the consistency of something in between a liquid and a paste. Season with a generous amount of S&P to your taste. 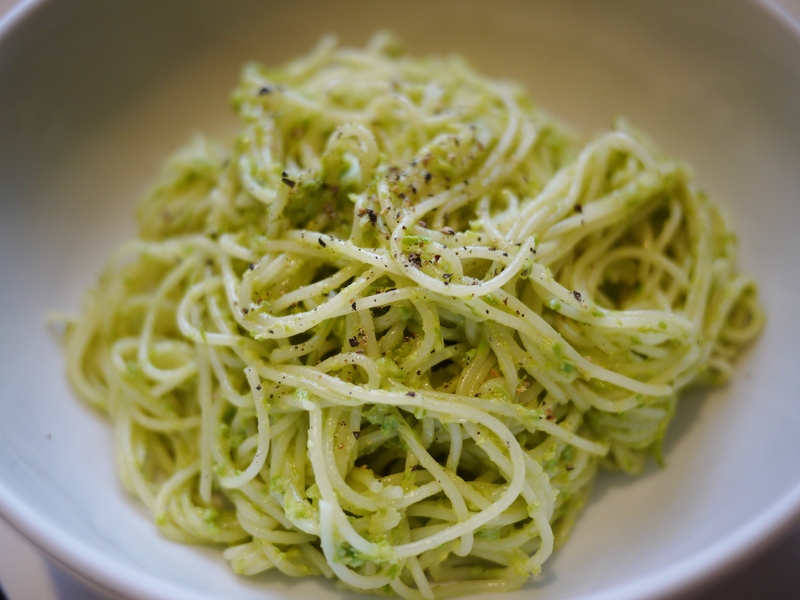 Serve with a thinner kind of pasta like angel hair/capellini or spaghettini.